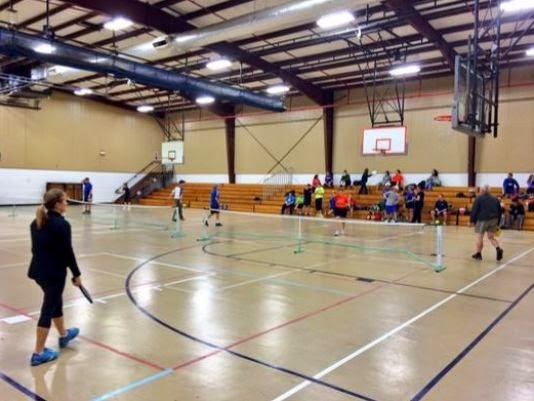 Clearwater, Florida -- Would you play a sport called pickleball? In Clearwater, the fast-growing game has become extremely popular. "The younger folks are getting a clue to what's going on here and they've coming and loving it," said Patricia Vanhise. Vanhise was easily one of the oldest players at the Long Center Thursday morning playing pickleball, which is like a mix of racquetball and tennis all played on a basketball gym floor. "It's a lot of running," said Clearwater firefighter Kyle Mueller, a mid-20s player who plays pickleball for exercise on his days off. "Just because I'm young doesn't mean I'm any better than them."